It is very hard to determine which are the best weight lifting hooks on the market. Every buyer has its own demands and reasons why he strives for the specific model. We will teach you why a simple piece of the equipment protects your hands from blisters, tears, and why scratches could be so important. 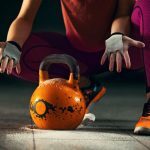 Did you ever wonder is it possible to use the best lifting hook for pull-ups to turn your training session into an enjoyment? You will not hate the whole world after your lifting or pull-up session is finished anymore. Your palms will have less contact with the barbell, dumbbell, or a horizontal bar. It will affect positively on your training performances. There is a good question which ones are better to use. The main advantages of the lifting hooks are a Velcro strap and a metal hook in the palm of the hand. 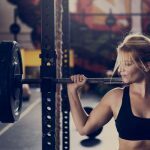 Lifting hooks are better for a heavy load and powerlifting exercises. 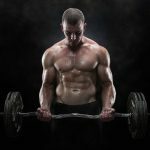 It is also a better choice for compound exercises. Lifting straps are wrapped around the wrist and the barbell. It means longer wrapping time but your hand will be locked in place. You needn’t think about the grip. Lifting hooks vs lifting straps is a too big dilemma for you? 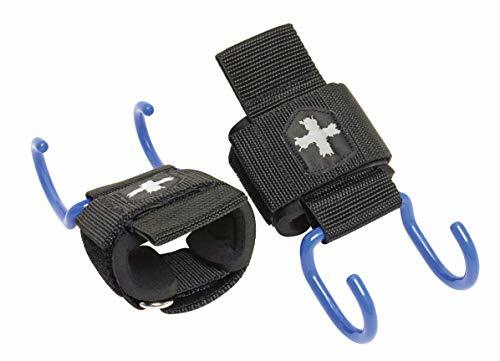 Think about purchasing a set of weightlifting straps with hooks. 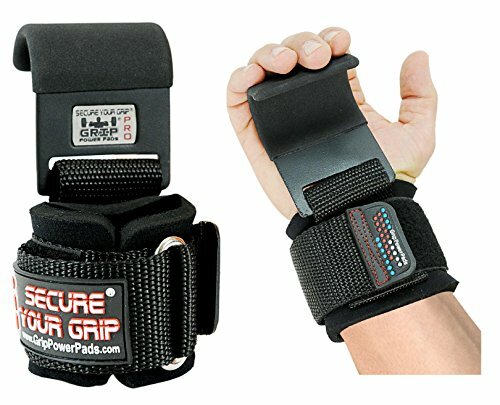 Weightlifting straps with hooks will enable better gripping and you can perform both unilateral and bilateral exercises. Humans are lazy by nature. They mostly choose the line of smaller resistance. It creates a feeling of a “tougher wrist”. You will subconsciously think you can lift more and you will feel safer. The use of lifting gloves with hooks does all the mentioned above plus it forces you to think like a Robocop. With two layers of protection, you will be ten times more relaxed, even during the most exhausting sessions. You may have the best weight lifting hooks in the world but if you don’t set them up properly, it could lead to tons of problems. For example, if it’s off, the barbell or dumbbell might easily fall on your foot. Start with your left hand if you are right-handed, or vice versa. Make sure the D-ring goes outside of your wrist. Set up the Velcro closure so that you can slip your hand into the wrist support. The hook should nest in your palm and fingers. Once the hook is in the proper position, use your opposite hand to tighten the Velcro. Congrats, you are ready to lift or do pull-ups! Hooks need to be secured all the time around the bar. Release your hook and grip when your weight is on the ground. Don’t play hero doing this with the weight in the air! The most suitable set of the best weightlifting hooks for your needs will highly depend on your training program. Someone who competes in powerlifting will look for a product which tolerates enormous weight. A regular practitioner needs a multipurpose device. 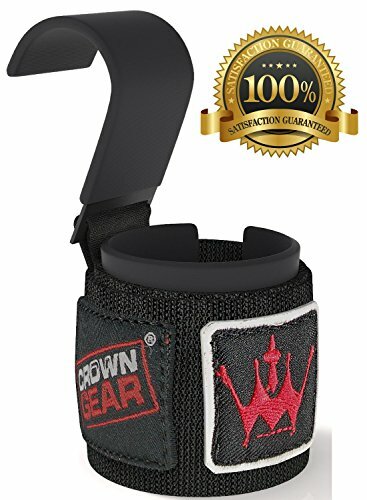 Someone might be interested in best lifting hooks for pull-ups too! We are introducing you to the set of qualities you should stick to. Before we start with weightlifting hooks reviews, make sure you read this thoroughly! Gym gloves with hooks are an excellent recommendation for the ones who strive for maximum comfort and safety during endless repetitions. This is the most important criteria. Especially if your goal is becoming the next Jay Cutler or Roelly Winklaar. Bigger the load, better the quality. It can go up to 600 lbs. 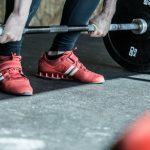 Someone who is in the world of lifting will be especially interested in the best powerlifting hooks. Nobody wants to see battered straps after few months of use. When you want to purchase the best weight lifting hooks, it should be built to last. Weak construction usually means it will slip a lot, or the metal buckle isn’t padded properly. The construction shouldn’t have many shortcomings, or your training sessions may turn into a nightmare. Metal and steel parts are safer by nature but they might be uncomfortable for your hands. Plastic parts provide more comfort but less safety. Good straps are usually made of neoprene but other materials can come in handy. An existence of non-slip coating is also good to prevent sweating. If your product fulfills the criteria above, it will be more expensive. Lifting hooks with plastic parts, made of other materials, are usually cheaper. The best wrist hooks for weightlifting shouldn’t require much time to set. Especially between the sets when every second is important. Buy a set of weightlifting hook gloves if you are emotionally related to some model which requires a lot of time for wrapping. 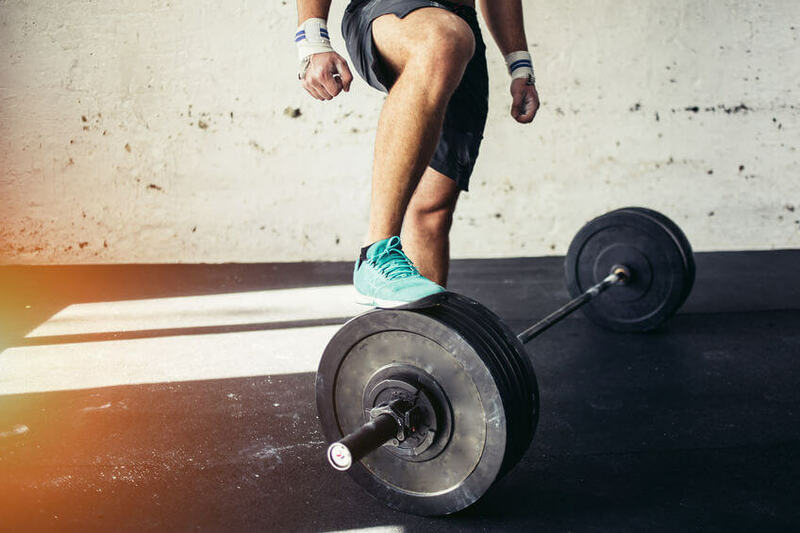 You will get safety and you can wrap it before the training session starts but you won’t be able to switch quickly between the different barbells. Women usually have smaller hands, so try to search the product which can adjust to all types of hands. A good product is suitable for everybody, from a teenage girl to a professional basketball player. Some practitioners might have wrist problems, tendinitis, bursitis, or even arthritis or gouts. If a previous tennis player or golfer wants to lift, their elbows will mostly be a weak spot. The best weightlifting hooks should be suitable for athletes with chronic injuries. 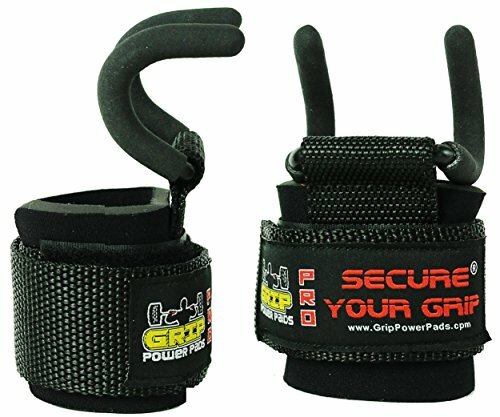 Purchase lifting gloves with hooks for more safety. Congrats, you have the idea what to look for! Now let’s go to the weightlifting hooks reviews! Review: You can do everything with Lifting Lab. If you are looking perfect lifting hooks for an all-around training session and wide population, this is your choice! Suitable for users with previous injuries. A super thick neoprene wrist padding is added. Perfect shape of coating hooks for all types of exercises. You can choose between open and closed grip. It has a high-quality Velcro strap. Weight is evenly distributed around the wrists. For the ones who really have a lot of money, this product sounds like a magic potion that solves all the problems. But the price is a few times bigger compared to other models. If you have money, combine regular gym gloves with hooks this model provides and you will get the most comfortable training session ever! Review: Are you looking for an original design which provides more stability into your grips? If so, these are definitively the best weight lifting hooks. It is good for pull-ups too. You may choose between four colors. It has a good and adjustable Velcro strap. The hook is too small compared to handle. Not recommended if you want to lift big weights. This set of weight lifting hooks is excellent for someone who wants some makeup in the gym. It also takes very little space in your bag too. Review: These are superb weight lifting hooks for serious bodybuilders, powerlifters, and weightlifting competitors. It can handle more than 600 lbs of load. It has a non-slip coating and rubber puller. Easy to take on and off, good wrapping time. Very good for people with previous injuries. Not suitable for Smith machine. It won’t fit tight around the bar in the beginning and you will need some time to break in. Serious lifters should definitively purchase this product. It will help you build king-size muscles. Review: This might sound like one of the best weightlifting hooks for the ones who train regular practitioners with various requests. One of the highest ranked on the market for an all-around training session. Steel hooks are very safe and durable. Great non-slip coating to lift more securely and focus on the technique. Comfortable and good Velcro straps. Good to perform unilateral exercises and isolate specific muscle groups. Wrapping time is reduced to a minimum, which makes it suitable for group training. It can handle up to 600 lbs of load. It has a reverse grip model. Good if you previously had a wrist injury. Maybe not the best choice for deadlifts, the distance between the bar and hook contact is too big. Not suitable for women or men with smaller hands. Neoprene straps might slip from sweat when you perform HIIT training sessions. It is also one of the best lifting hooks for pull-ups. 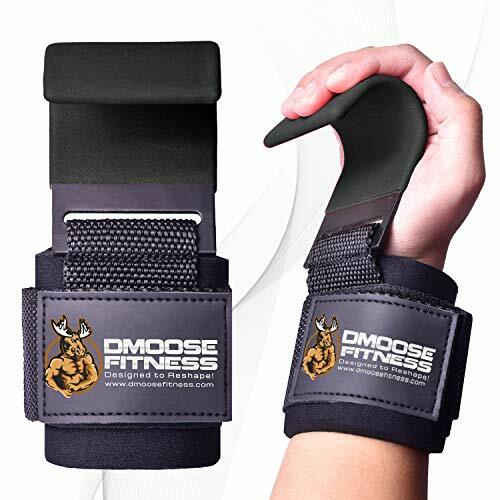 Your hand will remain safe and protected during the contact with the horizontal bar, these are excellent multifunctional weightlifting hook gloves. Review: If you want a really strong grip on the bar, stick to this model. It has premium hook coating which increases the grip. The model has reversible hooks. Fully adjustable nonrestrictive closure and hook. Good for practitioners with previous injuries. Suitable for women and users with smaller hands. The metal buckle doesn’t have additional padding, which makes it uncomfortable. Wrapping and adjustment time might be a serious issue. Not suitable for group training sessions. You have to be cautious with a bigger load. 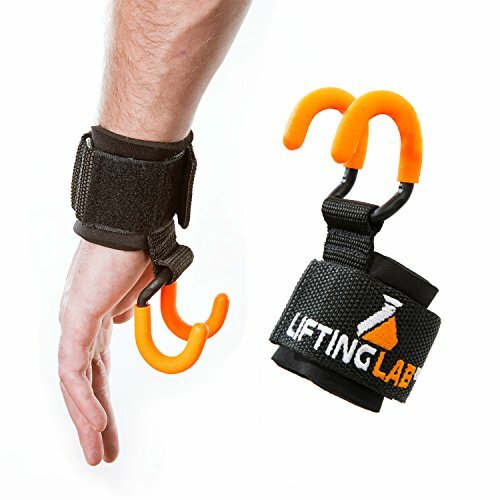 You won’t have to think about buying the additional set of wrist hooks for weightlifting with Harbinger. It is among the best powerlifting hooks. Review: These are definitively the best weight lifting hooks for someone who previously had an injury. Decreased stress on wrists and elbows. Not good for extreme powerlifters. Metal hooks are in the contact with your hands, and it is not padded. If you train women CrossFitters, you should seriously think about purchasing this one. The choice of the best weightlifting hooks is determined by the needs of the training session and client requirements for coaches. Why would you risk hurting your wrists, forearms, and elbows? Now you can invest few bucks in a revolutionary product which will turn your free weight training session into a very relaxing activity. Even the most demanding gym lover can find a suitable model. Make sure to write us a comment and tell us which is your favorite model and why.